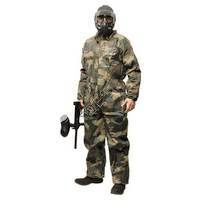 Paintball Jerseys are designed by paintball companies who generally have paintballers working for them. So they are generally designed by paintballers so you get a jersey specifically made for playing. You can generally find extra padding in the wrists, elbows, and shoulders to help give you an extra bounce or to add padding while working on your diving technique. Dye has always been on the cutting edge of functionality and style. Planet Eclipse brings european style and comfort to the world. 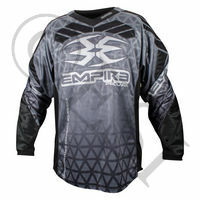 Empire sponsors some of the top teams in paintball with jerseys, and there is a reason why. They rock. JT USA was the originators of jerseys in paintball coming from a motocross background. 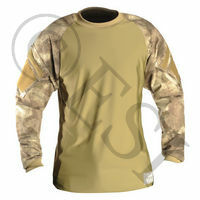 If you are a big Tippmann fan, then rock the jersey on the field. Affordable tournament style jersey. Affordable tournament style jersey. Affordable tournament style jersey. .
. Very breathable combat shirt! 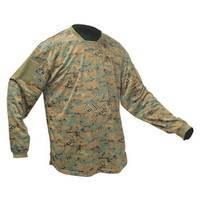 Very breathable combat shirt!